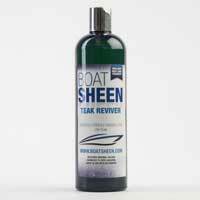 Boatsheens’ powerful two-step process cleans and restores colour to faded teak decks without sanding or scrubbing. Teak Cleaner & Teak Restorer are professional formulations designed to restore an ‘as sanded down’ look to old teak, even if its covered in green or black moulds. No hard scrubbing, sanding or wire wool required. Cleaner lifts out ingrained dirt. Reviver removes inorganic residues (including metallic salts) and restores the original warm colour to the deck without removing any wood. The surface is left with a freshly sanded look, which can be oiled, varnished or left in its natural state. Cleaner and reviver are concentrated. Dilute one part in five parts of water for heavily weathered and soiled teak, or one part in ten for lightly weathered teak. Simply simply apply to wetted deck with a clean sponge or applicator. Agitate gently then rinse off thoroughly. Cleaner is corrosive and Reviver is an irritant. Wear protective gloves and clean up thoroughly. Use with care. 500ml will clean up to 10sq meters of heavily soiled deck without scrubbing. For use on clean teak. 500ml restores colour and freshly sanded look to up to 10sq meters of deck . …Fantastic results and so easy to use. Thank you. deal for quick application of Teak Cleaner and Restorer on decking or for painting jobs. Set includes 230mm plastic tray and 2 pads with holder that is a push fit in our extending aluminium handle. For use with power tools and general DIY. Comfortable soft seal gives protection from dust as well as flying debris. Panoramic clear polycarbonate lens is scratch and impact resistant. Lightweight frame with integral ventilation and can be worn over most prescription spectacles. Feathered nose bridge and adjustable headband provide a secure fit. Complies with EN166 & EN170. For protection against flying debris in general DIY jobs. 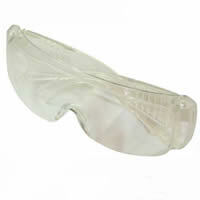 Lightweight frame with side protection fits over most prescription glasses. Impact and scratch resistant curved polycarbonate lens with UV protection. Complies with EN166, EN168, EN170. Essential protection when sanding anti-foul. 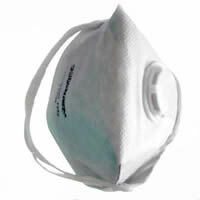 FFP (Filtering face piece) disposable respirator protects against toxic and irritant dust. Secure fit and seal from twin elasticated straps and padded nosepiece. Valve improves comfort and makes breathing easier. CE marked FFP2 in compliance with EN 149 2001.